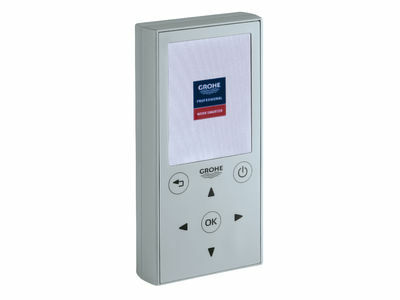 The new GROHE remote control is a prerequisite for data exchange with GROHE infrared products installed in washbasins, urinals and WCs. 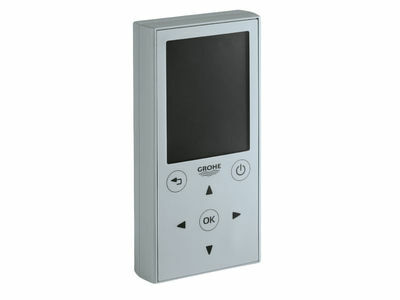 It is not only logical and easy to use, it comes equipped with extra functionality. the push of a button as and when required. on the easy-to-read display, allowing for long-term operational efficiencies. 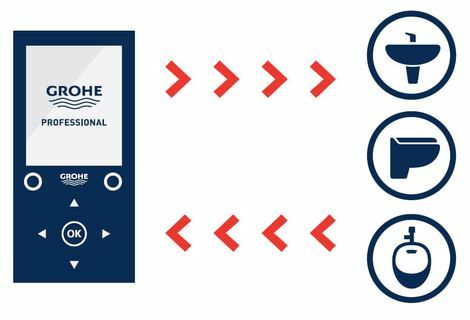 Maintenance has been simplified by the easy-to-use controls, and operational costs are easier to determine, and therefore can be reduced on the long term.